Fitness enthusiasts always love to keep track of their progress. 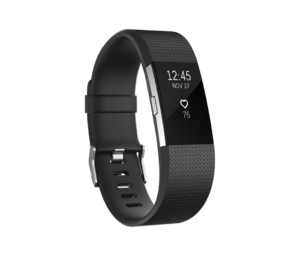 Let’s take a look at the Fitbit Charge 2 and rate a handful of categories on a percentage scale. At a weight of only 30 grams, the Charge 2 is extremely lightweight and easy to wear. It will fit snugly around the wrist, so it is physically suited for high-intensity movements. The unit provides all of the standard features of other trackers such as monitoring heart rate (both active and resting) and respiration. The only downside is that its small screen can be difficult to manipulate. New features of the Charge 2 include software intended to help the user breathe more efficiently and the ability to monitor a metric known as “VO2 max” (an overall measurement of fitness). These are both intended to help the user reduce levels of stress while at the gym and during everyday activities. Unfortunately, the Charge 2 falls fall short of its own self-proclaimed performance standards. A noticeably fickle touch screen and a heart rate monitor known to be highly inaccurate completely take away from the benefits mentioned above. The user interface is also said to be less than optimal for those who require on-the-spot measurements during high-intensity workouts. The end result of these shortcomings is that many users may wonder why Fitbit did not attend to such issues before the Charge 2 was released to the public. 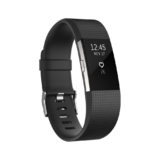 Most retailers offer the Fitbit Charge 2 for a price of £122 pounds. Although we can consider this to be competitive, the fact of the matter is that a lack of functionality during gruelling workouts will definitely raise some eyebrows. Those who are interested could therefore be wise to look for third-party retailers which offer lower prices. The fact of the matter is that the Charge 2 might be a good choice when monitoring day-to-day health levels. The main issue is that many of the core capabilities of this model are simply not designed with stability in mind. Unfortunately, the unit is not likely to be sufficient for endurance athletes or anyone looking to bring their game up a notch in the gym.